Working out with weights causes muscles to adapt and grow, this is nothing new. 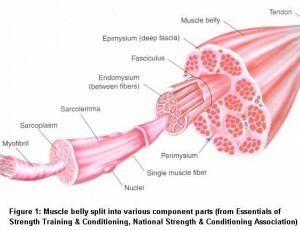 The pattern of muscle growth however, is not as obvious as we might have thought. Modern imaging techniques such as functional Magnetic Resonance Imaging and 3D MRI are starting to reveal what is really going on in the muscle when we lift weights in an effort to make them bigger and stronger.